Hi everyone! I'm up on Lori Whitlock's blog today sharing this fun Tall Triangle Sides box. I used the Jack and Jill Collection from Echo Park. This masuculine paper collection is perfect for Father's Day. I added a the "Dad" stickers from the collection and a piece from the ephemera pack. 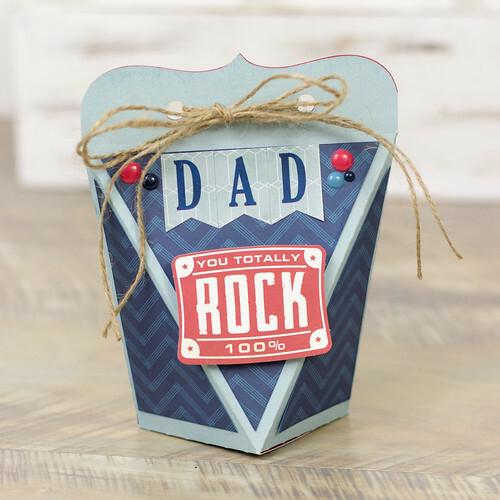 Lori Whitlock has tons of great boxes, cards and gift card holders to make Father's Day gift giving easy. Check out her newest files in her SVG Shop.